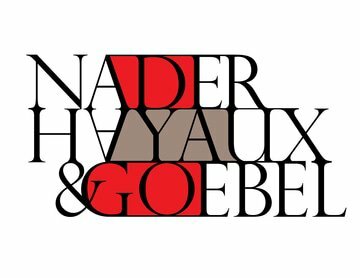 Nader, Hayaux & Goebel (NHG) is a market leader in mergers & acquisitions, banking & finance, securities and capital markets, structured finance, telecom, tax, insurance and reinsurance, project finance, real estate, energy and infrastructure, restructurings and workouts, government procurement and antitrust. We are one of the largest groups of corporate finance experts in the Mexican market. Our group has been working together and has a well- earned reputation for providing high-quality, sophisticated legal advice. We have participated in many of the largest and most challenging M&A and finance transactions in Mexico, including capital markets and private equity transactions, leverage buyouts, syndicated loans, PPPs, project financings, leasings and transactions in the insurance sector. We also advise clients on regulatory and government procurement matters. We represent leading local and international corporations and financial institutions, as well as Mexican and foreign governments and their agencies. We are also the only Mexican law firm with an office in London and enjoy excellent working relationships with law firms in all major cities around the world. In addition to our transactional work, we have been engaged in various occasions to participate in unique assignments such as advising the US Commerce Department in NAFTA negotiations, the US Treasury Department in the US$20 billion emergency finance provided to the Mexican Government and in numerous State legislative processes. It is hard to overstate the importance of insurance in personal and commercial life. It is the key means by which individuals and businesses are able to reduce the financial impact of a risk occurring.